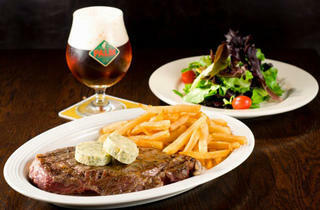 You can take most places in the Times Square area at façade value and keep moving, yet the BXL Café begs a closer look. Beneath an awning advertising Duvel beer, steamy windows peer into a dark-wood-accented bar presided over by a plasma screen in perpetual devotion to soccer. 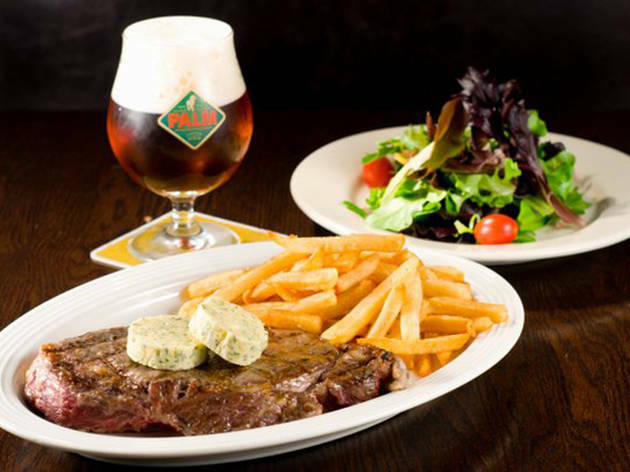 It’s a beer pub all right—11 Belgian drafts and 18 bottled beers are on offer—but the dining room at the back serves toothsome fare, like six varieties of mussels (the cilantro-inflected marocaine is particularly tasty) or steak frites garnished with peppercorns. BXL by no means constitutes a second wave of the Belgian culinary invasion, but for the area this is an excellent option.